Folium Vineyard is 8ha vineyard located in the Brancott Valley in the Marlborough Region on New Zealand’s South Island. 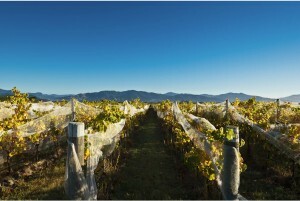 The climate in Marlborough is perfectly suited to growing premium Sauvignon Blanc and Pinot Noir. With the wide diurnal temperature range during the growing season, fruit can retain higher natural acidity while accumulating aromatics and flavour components. Our soil was created by the ancient glacial action and river systems. Low vigour clay based soil in Brancott Valley can retain sufficient moisture during dry summer to balance the growth of the vines. Folium Vineyard believes that winemaking starts in the vineyard. Detailed care in the vineyard starts with pruning in the winter, followed by canopy management, such as shoot and bunch thinning, and leaf plucking during the summer, all the way to hand harvesting at optimum ripeness in the autumn. Different management takes place for different clones or vine ages to match the inimitable needs. We use time honoured wine making techniques to produce quality wines that express the unique nature of Folium Vineyard.